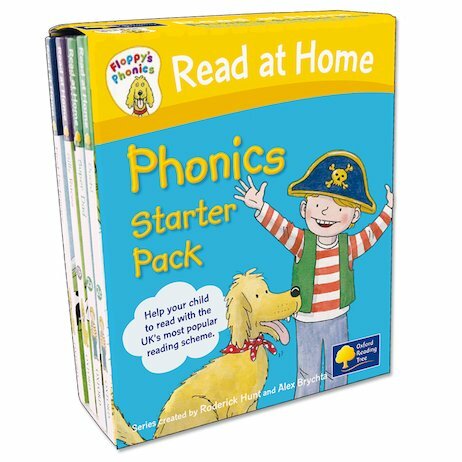 An exclusive set of bestselling first phonics readers in one handy box! Get to grips with phonics with Floppy the big scruffy dog! Phonics is about the building blocks of language: the sounds that combine and blend to make all kinds of words. This exclusive pack contains six comical, charming storybooks which use trusted phonics methods from the UK’s favourite reading scheme, Oxford Reading Tree. There are two books each from Levels 1, 2 and 3 to take young learners from first steps towards confident reading, each including tips for parents and fun activities which consolidate skills. With the help of Floppy the big scruffy dog, children can grasp phonics in a flash – and end up laughing too! This fantastic set features six colourful hardback storybooks in a smart slipcase box that any child will be proud to own.